Quite the journey for this quintet West of Hell – originally developing in New Zealand in the early 2000’s, they transplanted themselves in Vancouver, BC Canada in 2009 due to struggles finding the right vocalist. Playing out as an instrumental act, Zimmers Hole frontman Chris Valagao jumped on board to record their debut album Spiral Empire released in 2012 – gaining seasoning with show in Canada and New Zealand before membership changes would rear up again. Blood of the Infidel is the sophomore album, featuring drums (studio only) by Revocation’s Ash Pearson, and those who dig a power/progressive thrash style with modern overtones will find plenty to scream, shout, and slam through on this seven-song outing. The bellows and sustained screams emanating from Chris showcase a seasoned veteran who knows when to keep things lean and mean as well as let loose some sinister delivery mechanics. Check out his versatility on “Infidels”, where in certain sections he displays a bit of Perry Ferrell alternative action only to ramp things up to Phil Anselmo-like roars. Dual rhythm guitar work allows for interesting complimentary riffs that keep things melodic while not necessarily engaging in repeating the same lines – evident right away on the old school technical/progressive tricks for “Hammer and Hand” or the epic heavy metal shapeshifter “Dying Tomorrow” (love the bass/acoustic instrumental break in this one). Many of the hooks when the band comes together possess that 80’s steel texture, the type that induce simultaneous windmills or hair whipping insanity as cuts like “The Dark Turn” and “Chrome Eternal” deliver in spades. 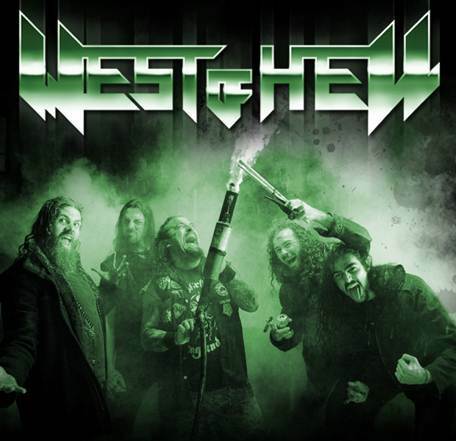 It’s difficult to put West of Hell specifically into a certain category- the music comes from a thrash base, but also contains traditional, power and progressive/technical aspects, as you’ll hear parts of Pantera, Coroner, Morgana Lefay, Iced Earth, Megadeth, and even a current younger band such as Havok all being thrown about in the mix. The songs are a bit longer than most in the genre (averaging out at 6:30) – understandable given the parts and interplay that occurs from verses to choruses and instrumental sections. 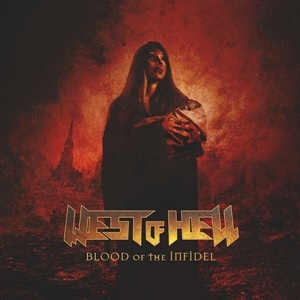 West of Hell possess a credible cocktail of heavy influences, injecting the proper hooks and melodies yet never sacrificing the sound for commercial tricks. Blood of the Infidel has stellar tones and precise songwriting, sure to appease those who desire a bit more power/technical punch in their metal.